Uber, the private car service, has received final approval from the New York City Taxi and Limousine Commission to participate in the city’s new pilot program. In doing so, it makes it possible for people to hail a taxi cab using the Uber smartphone app. Uber’s co-founder and CEO Travis Kalanick said in a statement that the UberTAXI service will be “lighting up yellow cabs” across NYC “momentarily”. The Verge reports that Uber has become the first company to be approved to operate under the TLC’s pilot program. In December 2012, the TLC approved the program as a means of testing whether services like Uber and others would be approved by regulators. In a passenger survey done by the TLC, more than half of those questioned were interested in using an e-hail app and the ability to use e-payment. UberTAXI previously existed in the city, but ceased operations in 2012. At that time, the service blamed the TLC and the city for not supporting innovation. Today’s victory is a another achievement for the company, which has battled governments and regulatory agencies across the United States for months. We couldn’t be happier to be the first and only e-hail app that has approval to operate in New York City — UberTAXI will be lighting up yellow cabs across New York City momentarily. Thanks to the NYS Supreme Court’s ruling this week, we will be able to see e-hail services made available to the riding public through a one-year pilot program that officially begins today. The first provider to be approved is Uber Technologies, Inc. There are several other companies in various stages of our approval process with others sure to join them, and we are excited about the prospect of seeing the universe of choices expand. The passengers have spoken and the Bloomberg administration listened…people want the opportunity to decide whether new technology can improve their taxi experience, and today, that option is available to them. 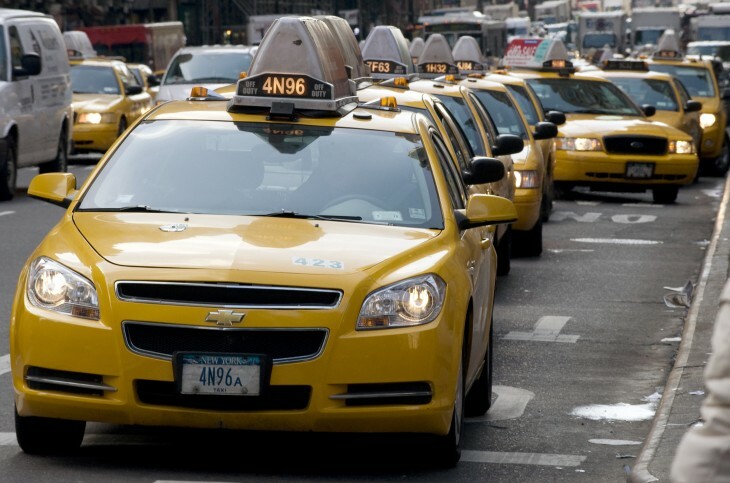 Not being used by a passenger to hail a taxi cab at John F. Kennedy International, LaGuardia Airport, or any other geographic area specified by the TLC, including areas with taxi lines or staging areas. Allowing e-hail requests submitted from a location within the Manhattan Central Business District can only be accepted by someone within 0.5 miles of that location, while those outside the district can be accepted by drivers within 1.5 miles. E-hail apps must not remit to a driver payment for a trip arranged by the e-hail app that exceeds the fare for the trip as displayed on the taximeter plus tips, and extras, if available. Whether these will be modified as the program goes on will depend on the commission.